Two-time WEC world champion, Brendon Hartley, is to return to the series with SMP Racing. The New Zealander, who earlier this week was revealed as one of Ferrari's four simulator drivers this season, will replace Jenson Button in the two upcoming races of the WEC driving the Russian BR1 No11 prototype of SMP Racing. He will drive in Sebring and Spa alongside Vitaly Petrov and Mikhail Aleshin, while Jenson Button will complete the SMP Racing line-up at the 24-hour marathon in Le Mans. "We welcome Brendon as part of our line-up," said Boris Rotenberg, SMP Racing founder and leader. "He is a very strong driver, with extensive experience: he won the World Endurance Championship twice, became the winner of the 24 Hours of Le Mans. We are sure that our joint team will make a great contribution to the future victories. I think it will be interesting for Brendon to drive behind the wheel of our new Russian sport prototype BR1 and compete with rivals in the highest class LMP1." 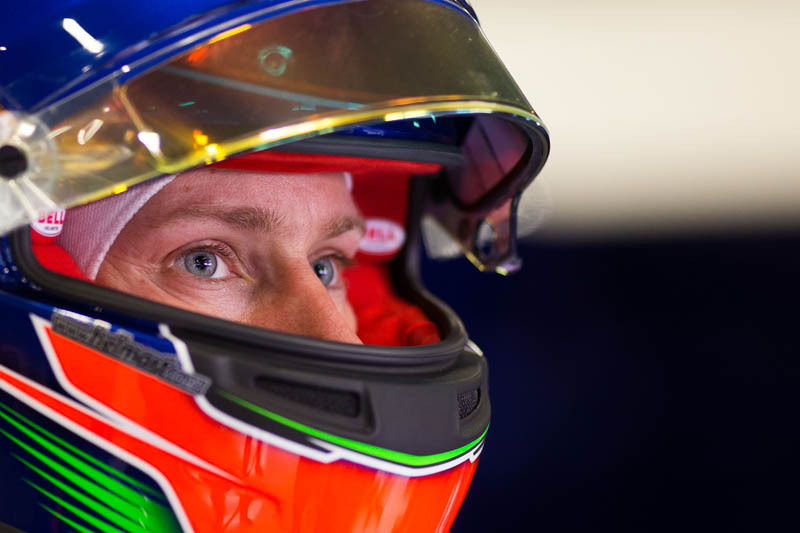 "I'm very pleased to join SMP Racing for the two WEC races at Sebring and Spa," added Hartley. "The team have all the tools and a great driver roster so I think we have a big opportunity to fight for podiums. It marks my return to the WEC and I'm really looking forward to being back in the paddock amongst many familiar faces." "I think Hartley will be a great addition to our team," said Mikhail Aleshin. "He is an experienced driver, took part in different types of competitions. Brendon successfully performed in the junior series, and I believe that his potential was fully revealed during endurance races where he was the winner in the overall standings. I think his participation in Formula 1 is also certainly a positive fact, for us as well, because it means that a very experienced driver joins our team." "This is great news for the entire SMP Racing team," added Vitaly Petrov. "Brendon has a lot of experience and many victories in the World Endurance Championship and in the Le Mans 24-hour marathon. He drove for the Porsche team, worked with strong drivers. That's why I think he will be able to share some interesting ideas with us that we can add to the development of our BR1 prototype. Brendon, welcome to SMP Racing." "I want to welcome Brendon, who joined our SMP Racing team," said Sergey Sirotkin. "I have known Brendon for quite a long time, we get along well and he is an excellent driver who will certainly benefit our team."